Whether you’re new to video or looking to scale production with new, more complex video formats, it’s helpful to be familiar with the various video editing technologies. There are numerous to choose from, but knowing the heavy hitters and what each is best suited for can make it easier to find the perfect video editor for your project. Note: This isn’t a comparison of which are best and why. (We’ll leave that to the pros who use them and upload videos to YouTube daily pitting one program against another.) This article is for those looking to tap talent to bring your video to life. By the end, you’ll have a better sense of what’s best used when and why. For the purpose of this article, we’ll leave off very basic programs designed for beginners shooting on their smartphones, and leave discussions about the price, learning curve, and technical features to the pros. The most important thing for you—especially when engaging a contractor or remote worker—is to choose a software that meets your basic requirements, and meshes well with your existing workflows. This makes it more seamless for outside talent to share and collaborate on files. So, is one editing program better for your project than another? Which tools should a video editor be skilled with? Let’s dive in. What Kind of Video Are You Creating? Here, we’ll touch on the talents and tools for live-action video and animated/motion graphics videos. This infographic breaks the video process down into various phases. If we were to add a column that matches tools to the phases, the one that would be present at nearly every phase is editing software. It’s the home base for all of your assets—audio, music, motion graphics, animation files, and all the clips you use. Some can really do it all, so we’ll start here. Most of these are going to offer you all the basics for live-action, non-linear editing: Transitions, titles, credits, captions, and support for file formats like 4K, HD, and 360 videos. This list is not comprehensive, but represents some of the most popular skills among freelance video editors on Upwork. Adobe Premiere Pro CC: Premiere is one of the best you can get, and is incredibly popular. It’s capable of nearly any type of video format and has great support for color grading, 360-degree virtual reality video, and even 8K footage. It’s ideal for light motion graphics design and animation, too. READ ALSO How Much Does it Cost to Hire a Video Editor? Apple Final Cut Pro, Pro X: This Mac-only product supports HD and 4K and 360 footage, but the files can be imported elsewhere for editing. Movavi Video Editor: Movavi is a top pick for Windows users with everything you need from a timeline-style editor, including stabilization effects and full-on production features that let you create a polished finished product with title cards, transitions, and special effects. 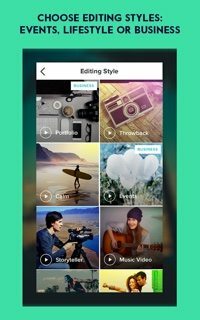 Corel VideoStudio offerings: Corel is widely touted to be great for YouTube videos and social sharing. The different versions offer support for major file types such as 4K, 360 videos, and VR. Cool features: Storyboard mode, and a voice detection tool that helps you match subtitles to speech. Pinnacle Studio: With a couple of offerings, these really shine when it comes to post-effects editing. 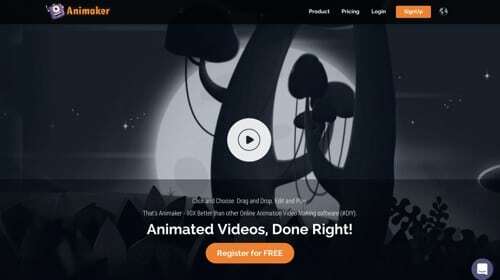 Cool features: Selective, motion-tracking blur effects, and a live-to-animated paintbrush effect that lets you turn live footage into animation. DaVinci Studio: With both paid and free versions, DaVinci is feature-packed and available on Mac, Windows, and Linux. Edius Pro: Edius is another contender to Premier Pro, and stacks up in terms of features and capabilities. Read this article to learn more, from an Upwork video editing freelancer. Most video professionals—especially motion designers—will use a couple of programs in their workflows. For example, a motion designer creating a hybrid video might create animations in After Effects then use software like Final Cut Pro or Adobe Premiere to edit it together with music and sound effects. Adobe After Effects: Most motion designers lean heavily on After Effects, which is as common to motion designers as PhotoShop is to graphic designers. After Effects and Premiere Pro are tightly integrated, making them a powerful combination for motion designers. Adobe Illustrator: Illustrator creates vector files, which is important if you’ll be reusing or resizing these elements throughout your workflow. Adobe Animate: An industry leader with an emphasis on vector graphics and lifelike character animation. In Animate, pros can export files to HTML Canvas. Adobe Mocha AE and Mocha Pro: When it comes to “fixing things in post,” a common task many video editors are familiar with, Mocha AE is a great tool for removing things from a live-action shot—say, lines in a road or wires attached to an actor doing a stunt. Smith Micro Studio: This suite of programs cover everything from digital painting and cartoon graphics to 2D and 3D animations—and plenty of add-on packages. Moho Pro 12 was even used to create some OSCARⓇ-nominated short films. Adobe Photoshop Designers can create simple animations and 3D objects, and again have the benefit of integrations with other Creative Cloud applications. Learn more about 3D modeling and rigging. If you’re producing a video using footage captured on a computer, such as a screen capture presentation or tutorial video, the following are good to know. An editor who understands your concept and goals will be the best resource possible when it comes to answering these questions, but it can be helpful to have a lay of the land before entering into discussions with potential editors. With a general understanding for this software can do, you’ll be able to review a video pro’s resume and know what he or she can do. Remember: The best way to gauge someone’s expertise is by checking out their prior projects. How Much Does it Cost to Hire a Video Editor? Multiplatform Producer, USA job with NBCUniversal, Inc.